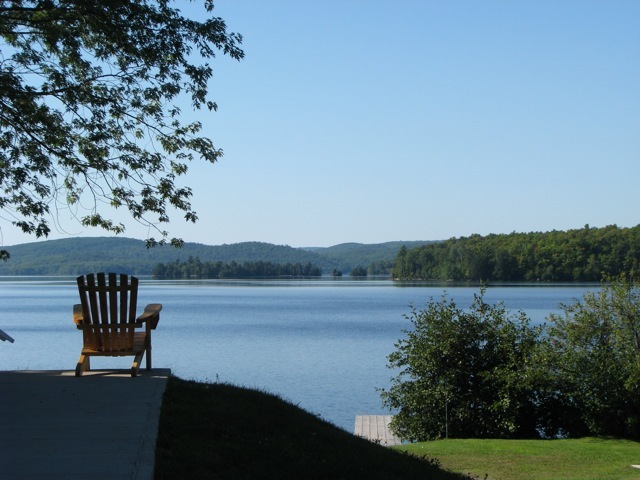 The waterfront resort is set on the sandy shores of Bark Lake and is nestled amongst 110 acres of mixed woods and natural hiking trails. Bark Lake offers fantastic swimming and we are lucky to have two natural sand beaches. To get our guests out on the lake and enjoying the water we also rent boats & motors as well as canoes. If you are bringing your own watercraft or boat Sunny Hill has a private boat launch and docks. Catering to all the fishermen and fishing ladies, we have our own fishing pier and fish cleaning station so that your party can enjoy 'today's catch' that evening. Acres of woodlands and walking trails. Boat & motor and canoe rental. Fishing pier and cleaning station. Inside our pool building you'll find a heated indoor saltwater pool and hot tub as well as change rooms. We also have a recreation hall where you can relax and enjoy a game of pool/billiards or ping pong. Outside you'll be able to kick back and enjoy a game of horseshoes or challenge friends to a game of basketball on our very own courts. For the little ones, Sunny Hill also has a playground area. Sunny Hill Resort is located in a natural, rural and relaxing setting but we're not so far of the beaten path that you can't still be connected to the rest of the world! There is cellular 3G coverage at our resort for Rogers, TELUS and Bell customers as well as high speed WIFI internet access available in our office lobby. We also have a public telephone booth for your convenience. Coin operated washers and dryers are also available on site for those of you who tend to get a little messy while enjoying the great outdoors.